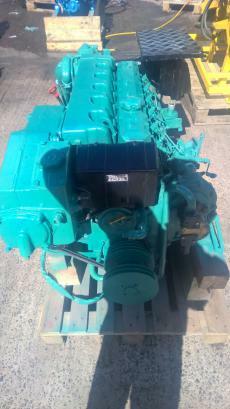 Volvo Penta TMD40B 136hp Six Cylinder Turbocharged 3.6L Heat Exchanger Cooled Marine Diesel Engine Package Complete With PRM 401 2:1 Reduction Hydraulic Gearbox & Control Panel (12V Electrics). 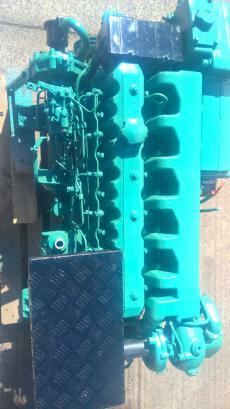 Removed from a small workboat having run approx. 4000Hrs from new and in full working order. It has been run at our workshops where it started and ran nicely with good oil pressure and no smoke at all. It has undergone a full service and has also been steam cleaned and repainted to a good standard. It is now packaged on a transport stand and ready for delivery to a new owner.